This is one of the original Access Points (AP) on the LIAS wireless "backbone". Most of the original AP's were mounted in big old trees, like this one. 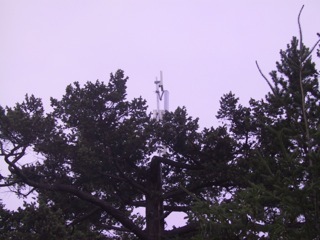 They are now being replaced by light-weight towers that are more stable, easier to maintain, and most importantly - don't grow branches that interfere with the signals.